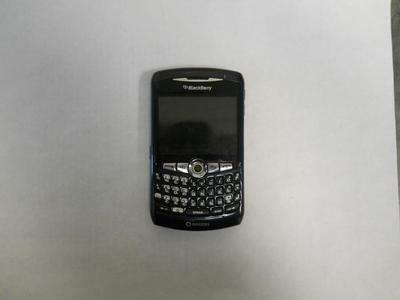 Blackberry 8320 from Rogers. Handset features a full QWERTY Keyboard, trackball, and expandable storage through micro SD card. Additional related items associated with this device are a leather case and USB charging cable.